Starting out at intermediate is the beginning of a journey. It is an adventure in which pupils will make new friends, try exciting new things, and learn about skills, talents and passions that they never knew they had. It is a transition - socially, physically and academically - from childhood to teenage years. 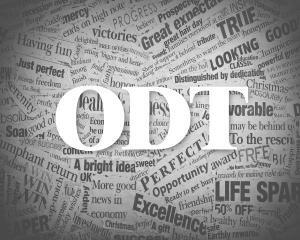 In short, it is one of the most exciting times of life! So it is important that pupils feel confident and inspired in their choice: Tahuna Intermediate School. Tahuna Normal Intermediate is totally committed to creating an environment that is safe, positive, and best suited to the needs of the pupils. The school has a zero-tolerance attitude towards bullying, and the curriculum includes a number of programmes designed to help you make wise choices about your health and safety. It is also committed to providing special support and extension for pupils seeking greater challenges, and an inclusive supportive environment for pupils with special needs. "Kia Kaha'' is a special programme for helping pupils deal with peer pressure and bullying. In Year 7 a unit is taught to help pupils meet the ongoing changes and challenges of puberty, and in Year 8 the "Keeping Ourselves Safe'' programme is taught. Tahuna welcomes pupils with special needs to the school. It has a policy of inclusive education that ensures that all pupils work alongside their peers in regular classes, and that special assistance and support is sought when required. Tahuna provides and supports programmes for the gifted and talented, and takes great pride in pupils seeking challenges and excelling. There is a positive culture of celebrating achievements and ``doing the best you can''. Today's children are tomorrow's leaders, so developing leadership skills is an important focus at Tahuna. You'll have the chance to become a house captain, librarian, receptionist, team captain, class councillor, or volunteer for a range of community programmes. You may be surprised how far these skills will carry you in life. The chance to help those in need is offered throughout the year, as pupils volunteer for door-to-door appeals for worthy organisations. Local environmental clean-ups are also a feature of the school year, helping to teach the importance of a healthy ecosystem to our lives. The DCC has recognised the efforts of Tahuna pupils. Tahuna prides itself on the wide variety of opportunities that pupils have available to them. Opportunities in all areas of the curriculum are enthusiastically planned by staff, and pupils enjoy the challenge and the variety. 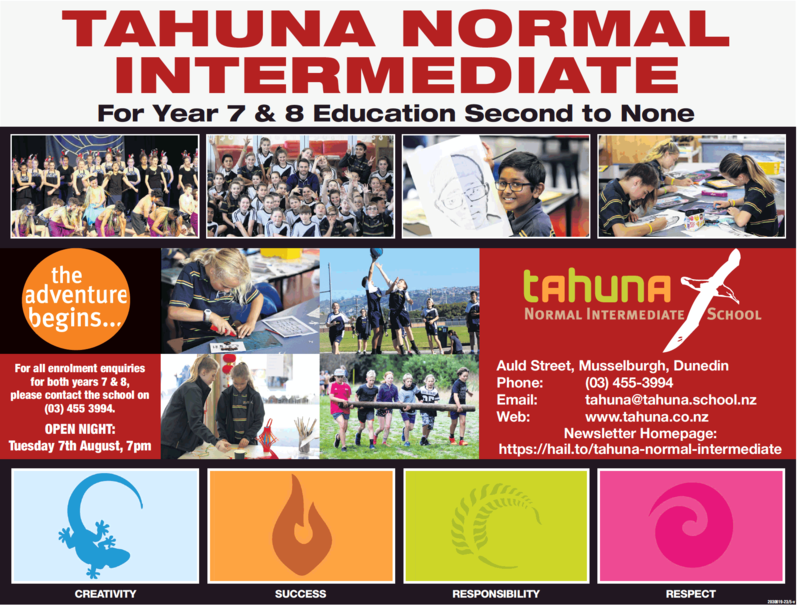 Tahuna Normal Intermediate: 31 Auld St, St Kilda, Dunedin; email office@tahuna.school.nz; phone (03) 455-3994.